I recently read an accident report in which a pilot lost power on the rollout, and then when he heard the engine surge back to life, resumed his takeoff. Just after leaving the ground, the pilot retracted the landing gear, the engine quit again and the pilot died attempting to make the 180-degree turn back to the airport. In a matter of a very few seconds, the pilot had some important decisions to make. If he had made the decision to abort the takeoff the first time his engine lost power, he would likely be alive enough today to have learned that his fuel was contaminated with water. But perhaps buoyed by the engines roaring back to life, he decided instead to climb out. That was his first bad decision. The second bad decision was to retract his landing gear before reaching the end of the runway. The third was his attempt to turn around rather than find a place to land in front of him. That was the one that sealed his fate. I don’t fault the pilot for making the decisions he made. We all make them, even the most experienced pilots. But I suspect that once he heard his engine quit as he was advancing down the runway, he may have found himself struggling to manage his fear. We will never know if the pilot panicked, thus preventing him from thinking clearly, or if he calmly made the decisions he thought were the most rational, or most likely, something in between. But if it is fair to say that what killed him was a series of bad decisions, then I think it is also likely that (especially given his instructors’ statements that he had been a thorough and safe pilot) managing fear is a prime suspect in what may have led to those decisions. Making friends with our fears is the way to master them. But mastery of our fears does not mean that we eradicate them—it just means that they begin to work for us as opposed to the other way around. 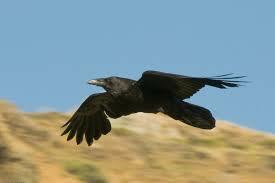 I often think about fear as Carlos Castaneda’s raven of death, which constantly flew just behind his shoulder. Death cannot be run from. It will assuredly outfly me so running away from it is a pointless endeavor. Instead, while I often fail, I know my job is to welcome it into the house, feed it, get to know it. If we blindly advance the throttle on takeoff without fear of engine failure, it is more likely to take us by surprise and potentially overwhelm our decision-making ability.